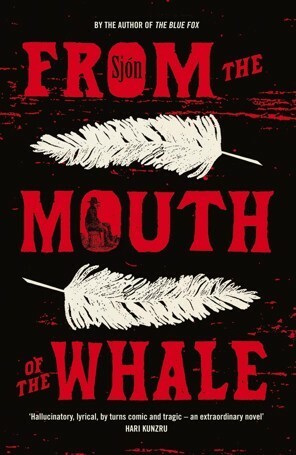 From the Mouth of the Whale is another wonderful work from Sjón (the third of his I've read so far). It encompasses Sjón's trademark blending of history with elements of the fantastical. Jón the Learned was a real person. Here, Sjón reinvents him as Jónas, telling true stories from his life with a continual hint of magical realism, so we are left questioning what really happened and what was only in his imagination. It is a spellbinding and lyrical work, yet highly visceral at times as well, such as in the depiction of life in early seventeenth century Iceland. A delightful read, but one I would only recommend to those already familiar with Sjón's work. If you are new to his writing, I would suggest starting with Moonstone or The Blue Fox, to ease you into his style.